3 Bedroom Apartment To Rent in Nottingham for £2,200 per Calendar Month. River Crescent is located on the banks of the River Trent adjacent to Colwick Country Park and Nottingham Race Course. The apartment offers a peaceful waterside location with nearby country walks as well as easy access into Nottingham City Centre. The apartment is well placed for the regions commercial and retail centres as well as Nottingham Train Station. 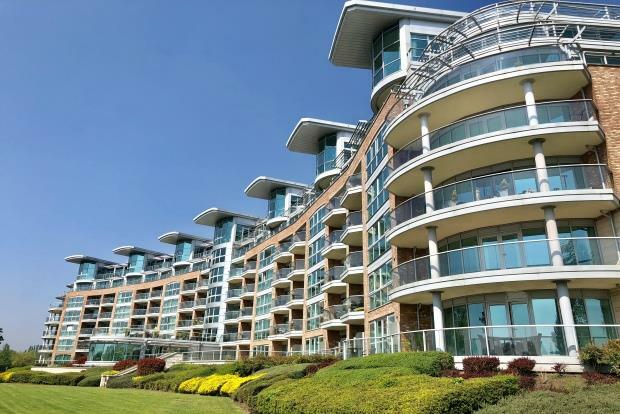 A luxurious three bedroom apartment located in this multi award winning development. River Crescent carried the accolade of numerous awards for its design and intelligence over recent years offering a peaceful way of life for residents. The apartment is presented in superb order throughout and has been designed and constructed with the latest innovative technology resulting in a truly modern and energy efficient city home. In brief, the accommodation comprises; Entrance hall which leads to the large open plan reception area which benefits from well defined sitting and dining room areas with stunning views over the river and patio doors which open out onto the balcony, fully fitted kitchen with integrated appliances and utility room. The luxurious master bedroom which boasts from bespoke wardrobes and a modern en suite . The apartment also provides a further double bedroom, study room and high quality three piece white modern bathroom. This apartment has been furnished to a high standard. The photos advertised may be generic. This south facing apartment benefits from views of the River Trent and features a good sized balcony leading directly off the reception room, ideal for outdoor entertaining. storage. There is a general manager and handyman on site for the day-to-day efficient operation of the development. The apartment features an allocated secure and undercover parking spaces as well as ample visitors parking. A particular feature of the apartments is the exceptional build quality creating a high level of security, acoustic and thermal insulation creating excellence and sustainability in the design of this eco-friendly development. A unique feature of this particular apartment is that the running costs have been reduced to an absolute minimum, as can be seen from the EPC rating. Outside, a riverside footpath skirts the perimeter of the grounds and there are landscaped gardens maintained to a high standard which can be enjoyed by all residents.